Welcome to Suhner UK Ltd. The location in Nuneaton, Warwickshire, is easy to reach from exit 3 on the M6 for both customers and sales staff. 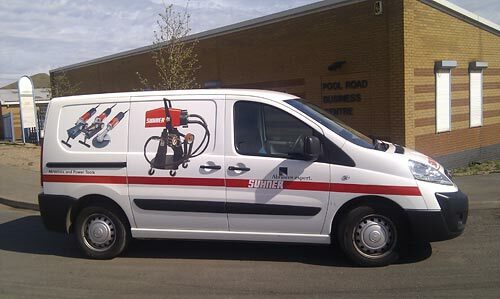 Suhner has supplied its products and services to all areas of industry associated with polishing in the UK for over 20 years now. We are particularly proud of the high quality and reliability of our products and the solutions we provide our customers using our sales engineers’ demonstration vans. Our demonstration strategy is unique. This practical approach allows us to assist all our customers who need on-site support. With over 100 products in our extensive range of electric and pneumatic tools as well as flexible shafts, Suhner UK offers a solution for virtually any challenge in the area of machining from the aviation industry to stone grinding.